Art Gallery Cards: Art Gallery Cards Monday, December 22, 2014! Ah, how the year has flown! Life is good and it's good to meet with friends to share ideas and to create. 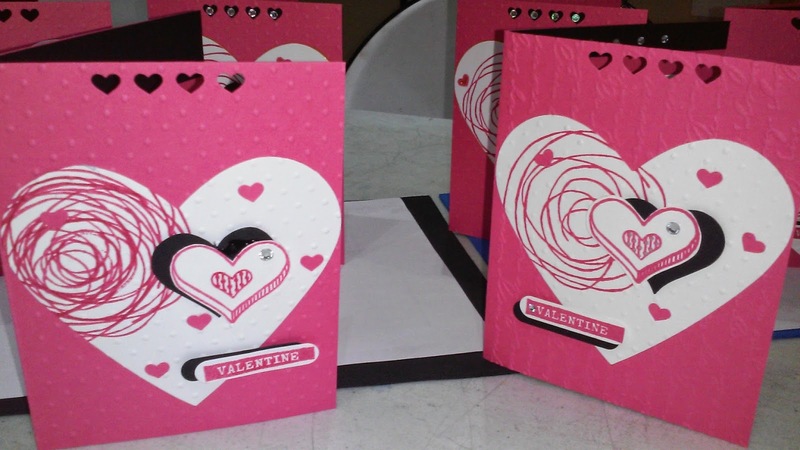 Our 2 Art Gallery Cards classes met yesterday to create a New Year's or holiday thank you card and a sweet valentine. 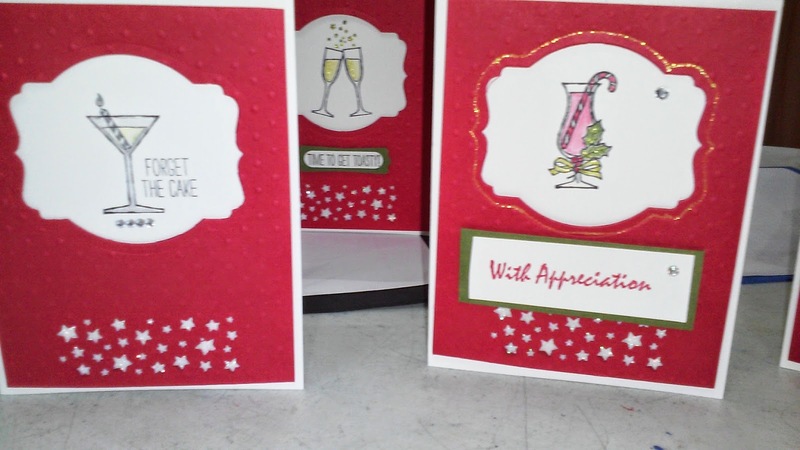 It's fun to see the subtle differences in the cards and to pick up great ideas along the way! Thank you, Jane, for inspiring us to add the bling to our valentine. Such a great improvement! 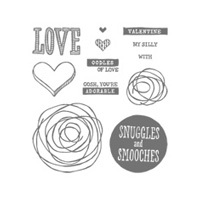 Snuggles and Smooches #140326 $15.95 is this month's photopolymer set release. I LOVE it and I see many valentines in my future with the help of this classic and classy set! We didn't have "spirits" to flow but the creativity was definitely flowing! Don't forget to check out this week's Weekly Deals (At the top of the page! Just click!) and the great additions to the Year-End Closeouts!! Many of the stamp sets from the Holiday Catalog have been added at great discounts! Let me know if I can be of creative help to you! Happy Stamping!! Ree, I had a very pleasant afternoon. You and the other ladies in the group are nice and helpful. 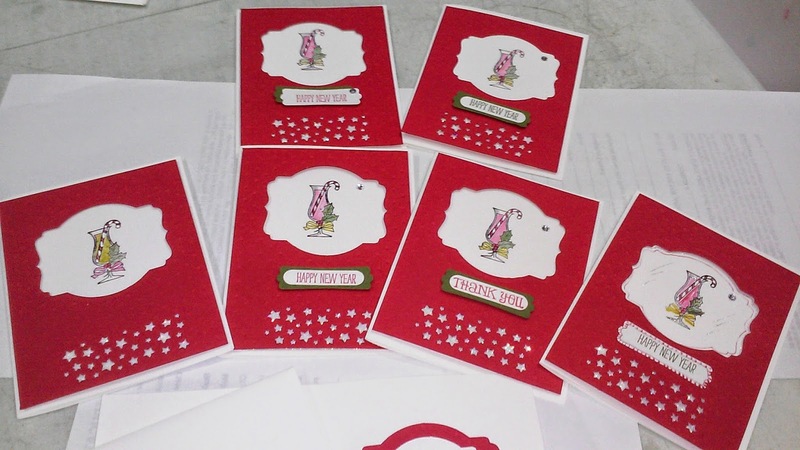 I am surprised at how well my cards turned out. I showed two of my friends the cards, and they plan to come to a class soon.